Wireless Doorbell Camera is the recent advancement in the field of home security. While a wireless doorbell only lets you know that someone is at the door, a wireless doorbell camera allows you to actually see who is at the door. And what’s even better than being able to talk to the person at the door through a 2-way intercom system within these devices. Available at just a few dollars more than a typical wireless doorbell, the wireless doorbell camera is now the choice of most of the homeowners. In this article, let’s have a look at some Advantages of Using Wireless Doorbell Camera and the reasons why most of the homeowners choose one of these devices as a part of their home security. As these devices include camera, they capture live video of the guest at the door. By this, you can actually see your guest without opening the door, or without even moving towards the door. As soon as the doorbell button is pressed, the live video of the person outside the door is recorded and transferred to your handset, and you can see the person at the door. The good thing is that it’s only you who can see the visitor, but the person at the door can’t see you. If it’s the pizza boy at the door, it’s time for you to rush to the door! 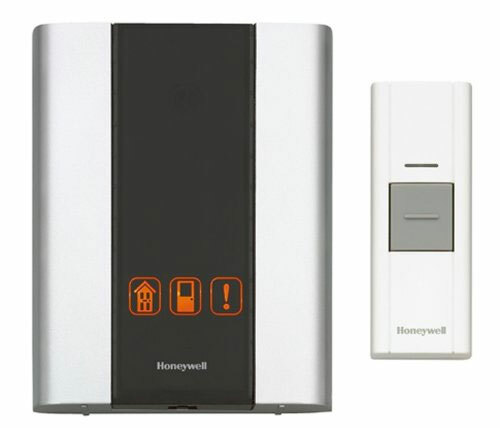 The 2-way intercom system available within most of the wireless doorbell cameras allows you to converse to the person at the door. Through this intercom system, you can inquire the visitor regarding his or her purpose of visiting before letting him or her in. If you think it’s not the right time for you to entertain visitors, you can tell them to come later. There might be a case when a visitor knocks your door at the time you’re not at your house. So, how will you know who the person was? Well, a wireless doorbell camera can instantly click pictures of visitors and transfer them to the base unit as soon as the doorbell button is pushed. When you come back to your home, you can see those pictures and discover the person who was at the door. Are you worried that you won’t be able to see visitors at the door through this doorbell camera in the absence of external light source during the night? The good news is that the latest wireless doorbell cameras are now equipped with infrared technology, which allows you to see visitors even during night. A wireless doorbell camera offers sound home security when you’re away. The wireless doorbell camera, intercom system helps you create a basic surveillance system that keeps track of visitors at the door. This leaves you with a complete peace of mind when you’re out for work. So, these were some of the major advantages of using a wireless doorbell camera. Larson Gonzalez is an expert tehnician who has a vast expertise when it comes to wireless doorbell. He is a contributor to Wireless Doorbell Reviews and recently published a top 10 of the best wireless doorbell curated according to the criteria outlined in this article.